Making Anti-Racial Discrimination Law examines the evolution of anti-racial discrimination law from a socio-legal perspective. Taking a comparative and interdisciplinary approach, the book does not simply look at race and society or race and law but brings these areas together by drawing out the tension in the process, in different countries, by which race becomes a policy issue which is subsequently regulated by law. Moving beyond traditional social movement theory to include the extreme right wing as a social actor, the study identifies the role of extreme right wing confrontation in agenda setting and law-making, a feature often neglected in studies of social action. In so doing, it identifies the influence of both the extreme right and liberalism on anti-racial discrimination law. Focusing primarily on Great Britain and Germany, the book also demonstrates how national politics feeds into EU policy and identifies some of the challenges in creating a high and uniform level of protection against racial discrimination throughout the EU. 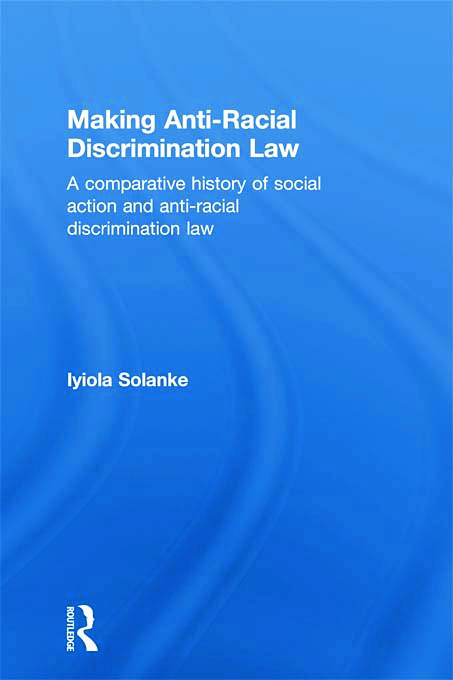 Using primary archival materials from Germany and the UK, the empirical richness of this book constitutes a valuable contribution to the field of anti-racial discrimination law, at both undergraduate and postgraduate level. The book will interest specialists and academics in law, sociology and political science as well as non-specialists, who will find this study stimulating and useful to expand their knowledge of anti-racial discrimination law or pursue teaching goals, policy objectives and reform agendas.